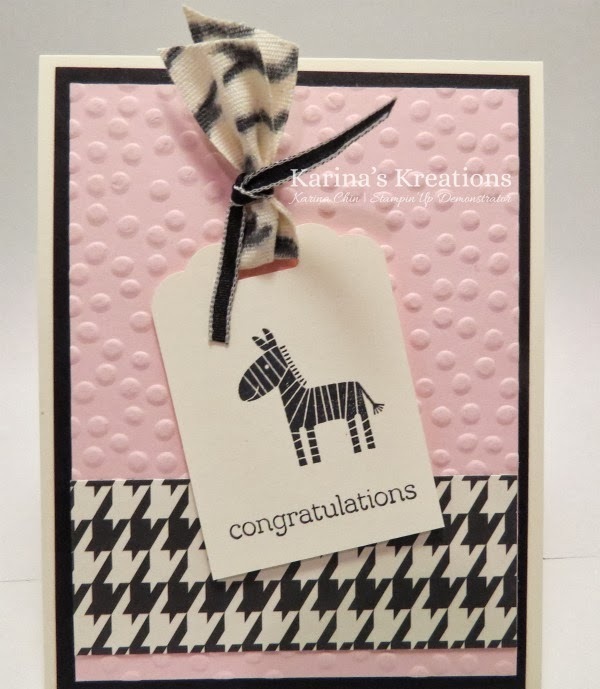 Karina's Kreations: Stampin'Up Zoo Babies Zebra Ribbon Card! 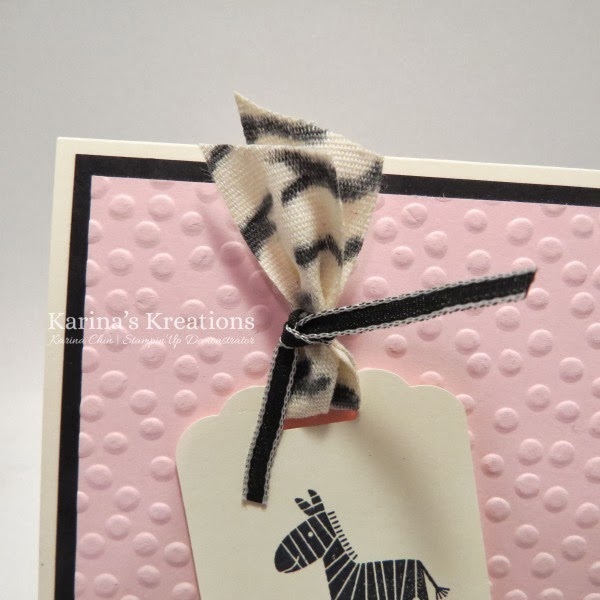 Stampin'Up Zoo Babies Zebra Ribbon Card! I made a quick video showing you how to make this fun zebra ribbon that we used at my coffee talk class Friday night. I was going to repost the Zebra book mark card but decided to share a new card I made instead. I love how this baby card turned out!!!! I think it's super cute and only took 5 minutes to make. I had the ribbon already done. Click here to order the supplies for this card!